Melissa Sweet has illustrated over 100 books as well as many toys, puzzles, games for eeBoo. Her work has been in magazines, on greeting cards and as drawings on her living room walls. 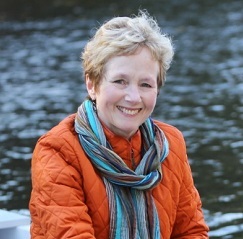 She has written four books: Carmine: A Little More Red, a New York Times Best Illustrated book; Tupelo Rides the Rails; Balloons Over Broadway: The True Story of the Puppeteer of Macy’s Parade, a Sibert Award winner (for informational books) and a NCTE Orbis Pictus winner (for nonfiction). Her most recent book, Some Writer! The Story of E. B. White, was a New York Times Best Seller and garnered an NCTE Orbis Pictus award. Melissa has illustrated three books by author Jen Bryant: A River of Words: The Story of William Carlos Williams; The Right Word: Roget and His Thesaurus, both garnered Caldecott Honors. A Splash of Red: The Art of Horace Pippin, was a Sibert Award and Orbis Pictus Award winner.